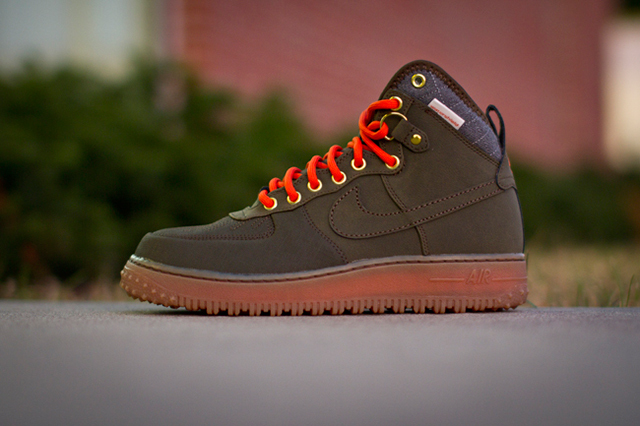 This color way of the Nike Air Force 1 is ready for the winter, sporting a rugged construction. It features a durable, Dark Loden upper as well as contrasting Gold eyelets and Orange laces. Finally, a revamped outsole perfect for providing traction during the slippery weather completes this Duckboot.